At Storm, we believe that freedom on a board is not just for surfers or skateboarders. We knew there had to be a way to build a better snowboard, so that is why we set out to redesign the snowboard from nose to tail. When we were through, we did not just redesign the snowboard – we reinvented it. Storm Snowboards owns three design patents for its revolutionary Next Generation snowboard. Click Here for more information. Our radical design allows riders to do things that have never been done on a snowboard before. 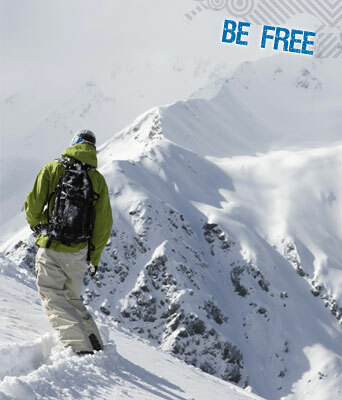 That's right, on a Storm snowboard you are free to do anything you want. You can throw it down, jump on, and go - just like a skateboard, and can surf the snow as it was meant to be done; with total freedom. Best of all, our board is so easy and simple to ride that anyone can do it, even if they have never been on a snowboard before. With a Storm board, the skills that used to take days to learn can now be done in minutes. Finally, a snowboard for everyone! Go ahead, ride the chairlift all the way to the top, take every run, and surf the mountain on a Storm.